Josef Jakobs was a Roman Catholic. During his incarceration at Camp 020, it is unlikely that he received spiritual care. However, once he was transferred to Wandsworth Prison, some options opened up for him. Several articles and books state that Josef was offered the services of a German priest, Fr. Josef Simmel of St. Boniface Parish in Aldgate, but that he refused to see him. This theory is inaccurate. In late July and early August, 1941, several letters were exchanged between the War Office and Bishop James Dey, Bishop of the Forces. The prison chaplain at Wandsworth, a Fr. Daly, was frustrated that he was unable to offer spiritual support to a prisoner under military control, Josef Jakobs. In consultation with Fr. Coghlan, the senior Army Chaplain, MI5 agreed that Fr. Griffith, stationed at the hospital in Knutsford, would be made available to Josef. Fr. Griffith could speak German and had ministered to wounded German prisoners of war in Knutsford. In his final letter to his family, Josef noted that this priest was a great friend and source of consolation. Who was this chaplain who ministered to a German spy condemned to death? Father Edward Jackson Griffith C.O. Edward Jackson Griffith was born 1 May, 1909, in Surrey to Walter and Alice Emily Griffith. Walter Griffith was a successful merchant and little Edward Jackson and his siblings (Mary Helen, Walter, and Frank Stewart) were looked after by a couple of nursemaids and a cook and servant rounded out the family. 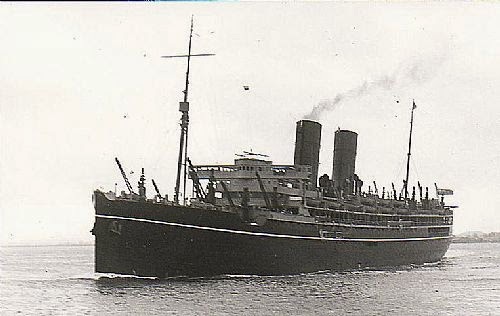 Edward was a bright young man and attended Eastbourne College, Sussex In April 1926, at the tender age of 16, Edward boarded the SS Rajputana, a P&O ocean liner, destined for the exotic port of Gibralter. Returning to England, Edward continued his studies at King's College in Cambridge and graduated with a Master of Arts (History). Tragically, Edward's older brother, Frank Steward, passed away in 1928 at the age of 21. It may have been this untimely death that triggered Edward into leaving the Anglican Church and embracing the Catholic faith. On 1 October, 1930, Edward departed for New York on the ocean liner Majestic. Arriving on 7 October, Edward stated the he did not intend to return home to England (giving his brother Walter's address in London as a contact) but intended to become a U.S. citizen. Edward's destination was Canisius College, a Catholic school run by the Jesuits in Buffalo, New York. Edward listed Reverend Eichhorn as a "friend" and his contact at the college. Fr. 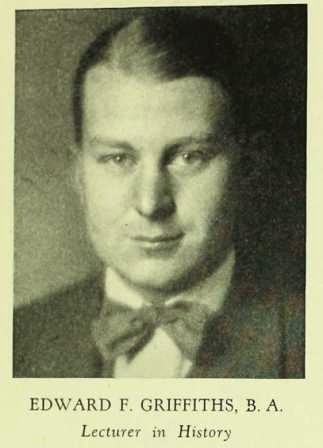 Rudolph Eichhorn was the President of the college and by 1931, Edward was listed as a history lecturer (his name given as Edward F. Griffiths). It was probably here that Griffith learned German, but in the event, he did not become a US citizen. Edward left Canisius after a year or two and taught at Georgetown University in Washington DC for another year. In 1933, Edward returned to London, England, having decided to pursue the priesthood. Edward took his first profession of vows with the Oratorians on 6 December 1933. Having studied for a few years in Rome at the Pontifical Beda College, Edward was ordained a Catholic priest on 12 March 1938. With the outbreak of war, Edward stepped forward to serve in the British Armed Forces as a Catholic Chaplain and was gazetted a Captain on 3 October 1939. London Irish Rifles cap badge. Edward's first posting was with the 1st Battalion of the Rangers (King’s Royal Rifle Corps). On 4 March 1940, Edward was transferred to the 5th London Infantry Brigade of the 2nd London Division. 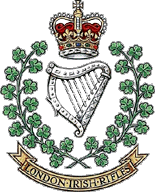 On 31 May 1940 he was attached to the 2nd Battalion of The London Irish Rifles. In 1941, on 26 June, Edward was transferred to the 4th General Hospital in Knutsford, where he ministered to wounded British and German soldiers. He remained at the hospital until 22 December 1942 when he embarked for North Africa, serving with a variety of units until the end of the war. He returned to the U.K. on 22 September 1945 and was discharged from the army on 27 December 1945. Edward returned to the Oratory and was promptly chosen as Prefect of the Congregation, a post he held until 1948. 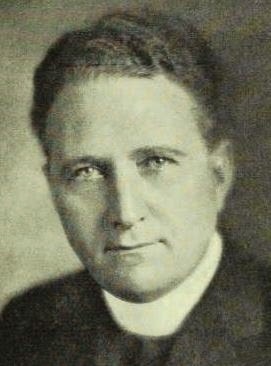 During the General Congress of the Oratorians in 1948, Edward was elected Attorney General. Having served in that office for 10 years, and done an admirable job, Edward then became the Apostolic Visitor in 1958. Unfortunately Edward had suffered a couple of heart attacks in 1955, which ultimately contributed to his untimely death from pneumonia on 14 June 1959 in the port city of Livorno, Italy. Edward is buried at the Oratorian tomb in Mondovi, Italy. According to his military service record, Fr. Griffith was detached from Knutsford in 1941 and sent to London District from 6 August – 18 August for special duty. Edward provided Josef with spiritual are, celebrating Mass in his cell every day. From the dates of his assignment, it is likely that Edward accompanied Josef to his execution at the Tower and eventually celebrated the funeral mass on August 18 at St. Mary's Roman Catholic Cemetery chapel. Edward Griffith was highly regarded by his fellow Oratorians, some of whom described him as a lovable, well-educated man who was accepting of all. Edward was just a young priest (only 3 years ordained) when he met Josef but he was clearly a source of spiritual comfort to a man facing his last days.